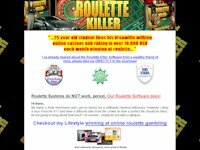 Roulette killer is very similar to roulette sniper – it is also well-promoted, and has many clickbank affiliates who sell the software for commissions from their own sites by publishing blatantly dishonest positive reviews. It would not at all surprise me if the owner of roulette killer and roulette sniper are the same person operating under different names. 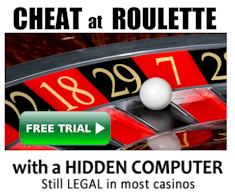 For example, both the roulettekiller.com and roulettesniper.com websites have very similar headlines about a 25-year old boy making money from roulette. The marketing material and general layout of both sites are uncannily similar. In particularly the demo video on the roulettekiller.com website may be convincing to novices, but to professional players, they are complete nonsense. Anyone can make a video with large random bets, and profit $11,000 in a few minutes – especially when you play with large bets in “fun mode” at online casinos, where the software is often manipulated to make you win more than you do when playing for real. Does it mean the system actually works? No. Any system can win in the short-term, but winning over the long-term and actually making a living playing roulette is completely different. If anything, the videos suggest the seller has no problem manipulating people that know no better. There is nothing wrong with selling a system to play roulette. Being a system seller doesn’t make the roulette killer seller a scammer. What does make him a scammer is the blatantly false claims and manipulation about what the purchaser can expect. 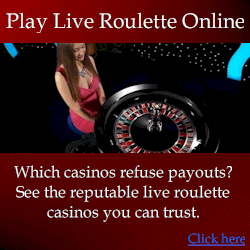 Can you expect to achieve any kind of consistent winnings with roulette killer? Absolutely not – it nowhere near achieve consistent profits. There is no chance this system has been thoroughly tested like the seller claims, and if it had been, then the seller would know he was making false claims. VERDICT: The principles used by the software make it perfectly clear the seller has poor knowledge of roulette. Like roulette sniper, this software is one of the systems I receive complaints about most – this is because it is well promoted, cheap to buy, and there are many clickbank affiliates who promote the software with false positive reviews. Due to the relatively low price, purchasing this software alone will not harm you much, but actually using it for real play will lead to a guaranteed loss. If you do decide to buy it, make sure you test thoroughly without real money.